If you are interested, just download this WhatsApp stickers on the Google Play Store by paying only IDR 5,000 (Indonesian only) or US $ 0.99. Cheapest right? To provide support to us so that we make lots of stickers for future. Currently the developer team is focusing on adding new features in the Badbee game based on the development roadmap after open beta launch and feedback from you, one of which is the addition of a special guide for first time users to play. Purpose from that’s addition to be more friendly with new users. Feedback is needed for improving Badbee gameplay quality and comfort when played. This youtuber girl from Indonesia is still new to the world of streaming gaming and is very interested in playing our game and says BadBee is a work of a nation that cannot be underestimated by other international games. Thanks to gamereactor.asia for covering the release of BadBee Open Beta and giving a brief explanation in bahasa language. Thanks to Gamebrott.com for making a press release for the release of BadBee Open Beta with freedom for us to create our own content and get 132 views to date and have become trending. Thank you for the review on carapedi.id and successfully continued to play the blog. Well, that’s BadBee Open Beta reviews compilation last week that have provided positive feedback for this game. 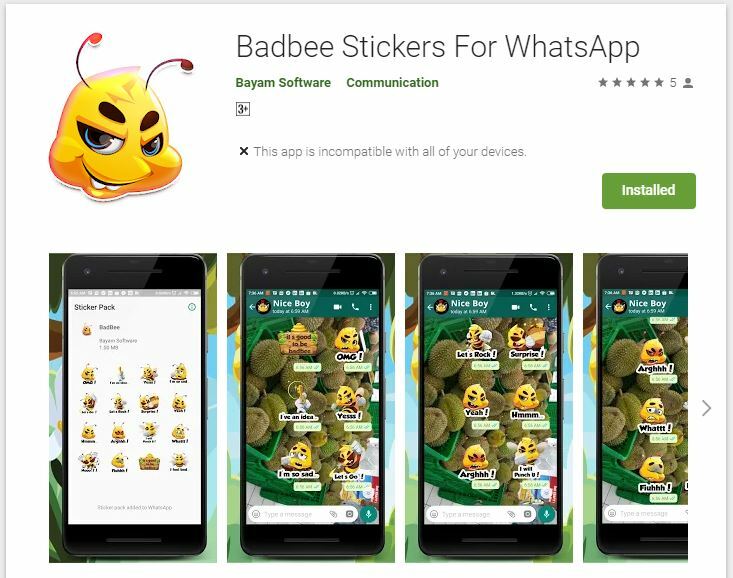 So, what are you waiting for, download now at this link, including downloading BadBee Stickers for WhatsApp too!!! ← Badbee Available on Early Access Google Play Store Now!